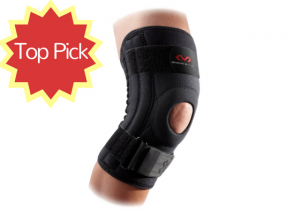 Here’s a rundown of our favorites, including our top pick – McDavid Knee Support with Stays. Patellar tendonitis is a knee injury that causes damage to the tissues that connect the kneecap to the patellar tendon, aka the shinbone. 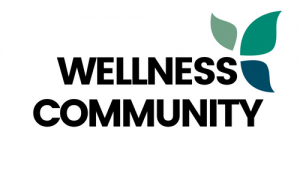 While this condition usually resolves on its own within several days to weeks, it’s common to experience some knee pain, stiffness, and swelling in the meantime. Wearing a brace for patellar tendonitis can help reduce pain and absorb excess force on the knee. To help you determine the best knee braces available online, we’ve tested a variety of brands and styles. Material: While you can find knee braces made of a variety of materials, you want to choose one that is breathable and slightly flexible. Fit: Sizing is highly important when it comes to knee braces. 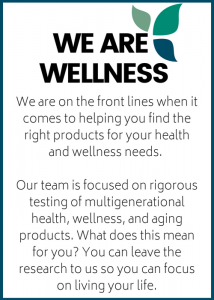 Refer to the sizing chart of the product you plan to purchase to determine the perfect size for you. 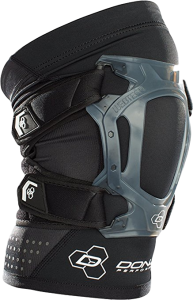 Style: There are several styles of knee braces on the market with the most common being wraparound and slip-on options. Design: Pay attention to the design of the brace. Some features may include an open or closed patella, kneecap padding, or adjustable straps. People with patellar tendonitis often develop pain and stiffness right below the kneecap. After testing numerous products, our team found the best knee brace for this injury to be the McDavid Knee Support with Stays. This cutting-edge brace combines style, function, and flexibility into an easy-to-use brace. Ideal for moderate support of the knee, the McDavid brace features reinforced support with spring steel stays, a padded buttress, and elastic hook and loop straps that help to create the perfect fit. The brace itself is made from a latex-free neoprene material that offers advanced thermal and compression therapy. Nylon fabric covers the exterior. Repetitive sporting activities are a common cause of patellar tendonitis. If you want to stay in the game without causing further injury to your knee, consider a highly supportive brace like the DonJoy Performance WEBTECH Short Knee Support Brace. This innovative brace features a three-part system designed to relieve common types of knee pain associated with overuse, sports injuries, and degenerative diseases. The brace is designed 50 percent shorter which helps relieve pain from patellar tendonitis. What our team really liked about this brace is its unique structure. When in place, the brace evenly distributes pressure over the patellar tendons and quadriceps to help stabilize the knee. You’ll also find a molded back pad that compresses the knee and adjusts for optimal comfort and fit. The brace is constructed from four way stretch lycra and mesh which adds an additional layer of protection while reducing the potential for hot spots. If you’ve been diagnosed with patellar tendonitis, your doctor may recommend that you wear a knee brace on a daily basis or while engaging in certain activities. 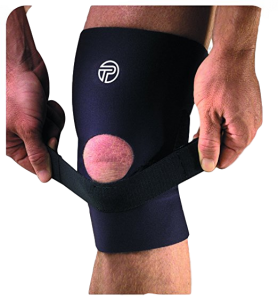 For optimal performance throughout the day, try the DonJoy Performer Patella Knee Support Brace. With its streamlined design and even compression, it’s a great choice for knee support. Constructed of neoprene, the knee brace helps retain body heat and provides warmth to the healing tissues. The brace features calf and thigh straps which provide enhanced compression and support. This premium knee brace is recommended for people with mild to moderate ligament joint pain, strains, sprains, or patellar instabilities. Our next choice for best knee brace for patella tendonitis is the DonJoy Performance ANAFORM Knee Support Compression Sleeve. Available in several sizes and color options, this versatile knee brace is the perfect solution for overuse injuries, tendonitis, inflammation, swelling, stiff joints, and bursitis. The sleeve features asymmetrical hem lines that provide the user with unsurpassed comfort, free range of motion, and a customized fit. After testing the DonJoy brace, we found it to have several features that other braces in its price range didn’t. The knee brace is constructed of a neoprene and lycra combo that provides thermal compression at a lower weight than other braces. The knee brace also contains anti-migration technology that prevents the brace from slipping while in use. Another perk of this brace is its stash pocket that can hold credit cards, ID cards, keys, or cash. 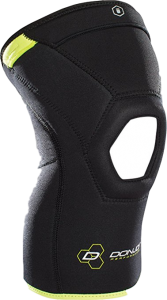 Our final choice for best knee brace for patellar tendonitis is the Pro-Tec Athletics – The Lift Knee Support. 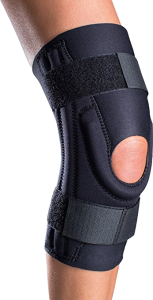 This top-rated knee brace is effective in alleviating pain and stiffness caused by tendinitis, Osgood-Schlatter’s disease, chondromalacia, and similar knee conditions. This unique knee brace combines the unbeatable support of a patellar strap with the therapeutic warmth of a compression sleeve. What make this knee brace different than other products on the market is its lifting capabilities. An elastic strap is used to give the patella a gentle lift, which relieves pressure and promotes faster healing. The knee brace is also customizable as the user can adjust the elastic strap to control the amount of support they want.